Let's all give our thanks to Larry Telles for making this film available to the public. Larry authored a book on the life of Helen Gibson. You can buy a DVD with the film here. "Ghost of the Canyon" is a short action drama. Scenario and direction are by Robert Myles, story by R.A.Dillion, photographed by Carl Widen. In 1915-1917 Helen Gibson starred a serial by the name of "The Hazards of Helen". She is considered the first professional stunt woman. Very few of her films survive, so we are happy to be able to show you this rarity. Two railroad companies compete for a very lucrative contract. Helen's father is the first in command, and her fiance the second in one of the companies. The rival company organizes a sabotage, which is exposed by Helen. Unfortunately for her, she is alone against three men who tie her up to the railroad tracks. She faces imminent death unless she finds a way to free herself from the ropes. Helen Gibson's boyfriend gets the assignment from her father to win an important contract in "Ghost of the Canyon" (1920). 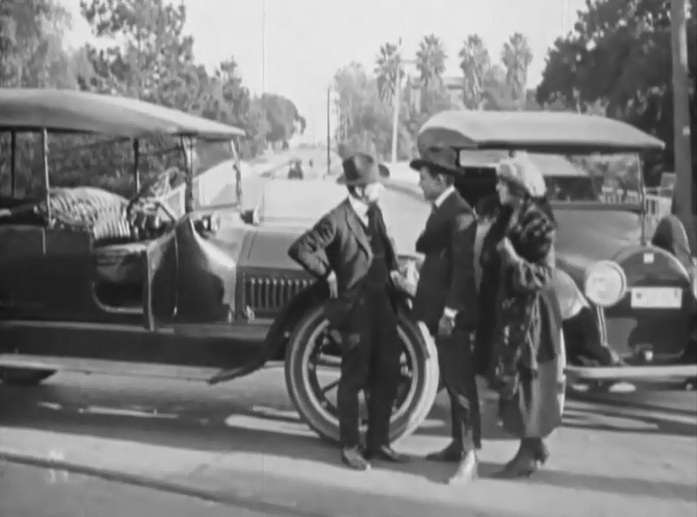 Helen Gibson's car is stopped by the rival railway's bosses in "Ghost of the Canyon" (1920). Helen Gibson has some tough talk for the rival railway's bosses in "Ghost of the Canyon" (1920). Helen Gibson and her boyfriend wish good luck to their team in "Ghost of the Canyon" (1920). 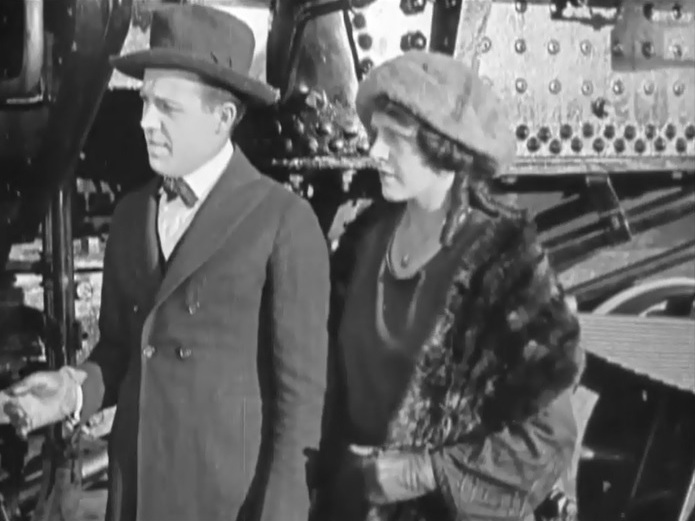 Helen Gibson and her boyfriend discuss the competition with her father in "Ghost of the Canyon" (1920). 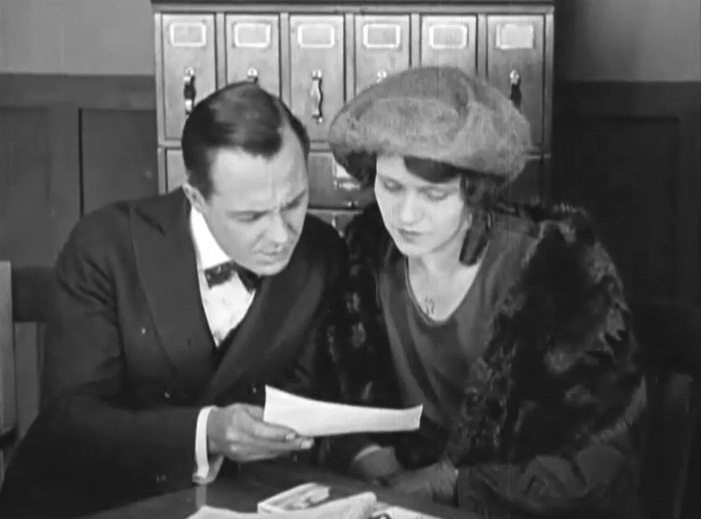 Helen Gibson and her boyfriend see encouraging initial news in "Ghost of the Canyon" (1920). 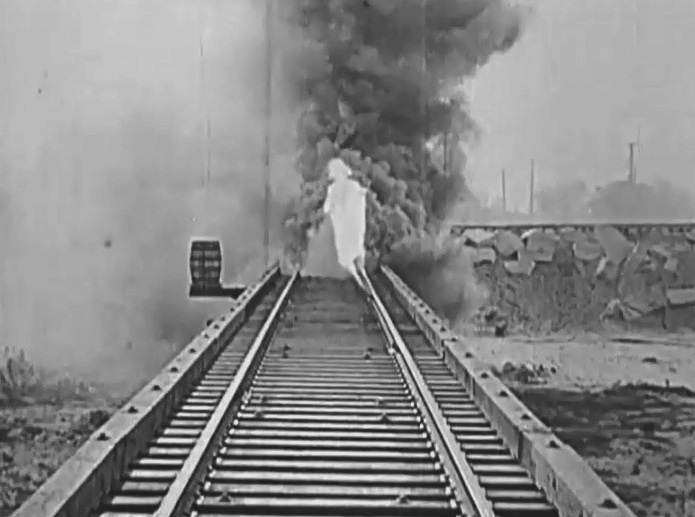 The train engineer sees a ghost-like apparition amid smoke and stops the train in "Ghost of the Canyon" (1920). The engineer reports that he could not go any further in "Ghost of the Canyon" (1920). 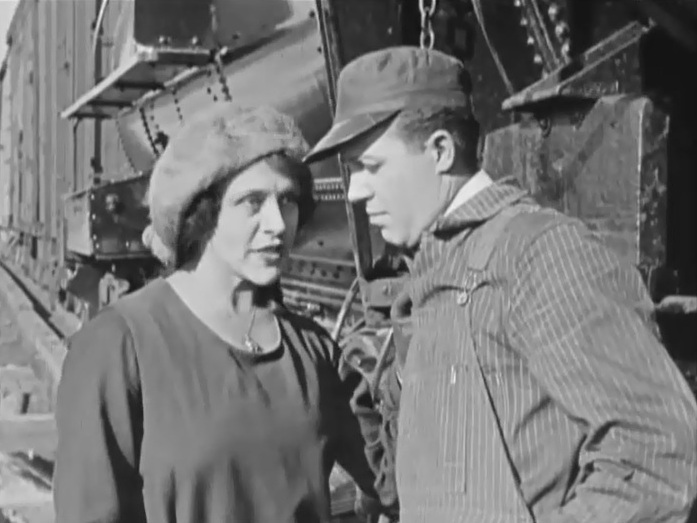 Helen Gibson is upset that her father's railway may lose the contract in "Ghost of the Canyon" (1920). Helen Gibson is glad that the rival railway also has problems in "Ghost of the Canyon" (1920). 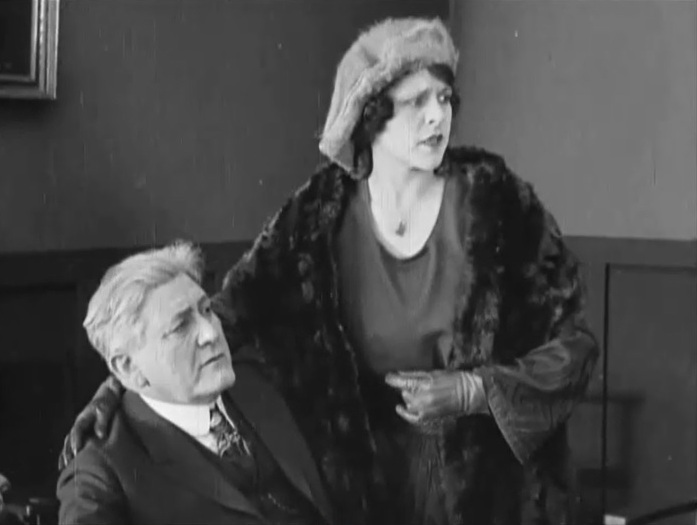 Helen Gibson and her father discuss a new strategy in "Ghost of the Canyon" (1920). Helen Gibson and her boyfriend are closely watched by the rival agents in "Ghost of the Canyon" (1920). 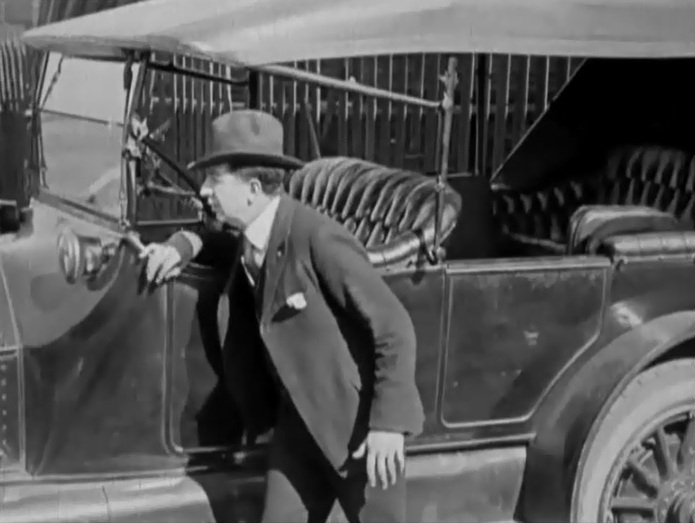 Helen Gibson's boyfriend takes personal charge of the trial run in "Ghost of the Canyon" (1920). 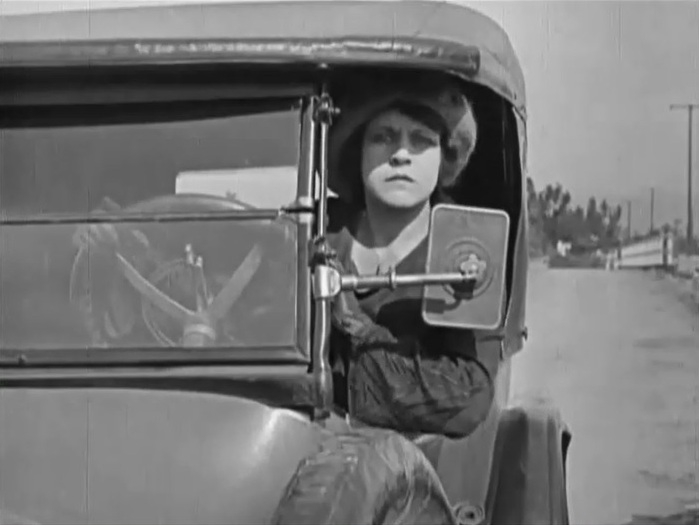 Helen Gibson chases the rival agents, but is delayed by a flat tire in "Ghost of the Canyon" (1920). 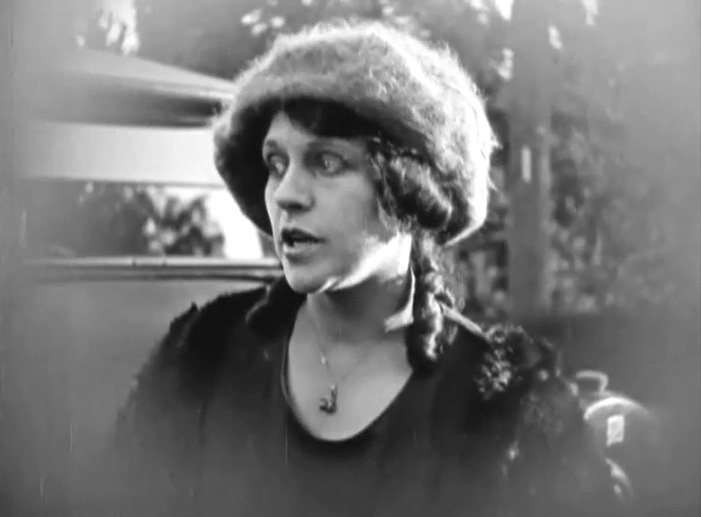 Helen Gibson observes suspicious activity by the rival agents in "Ghost of the Canyon" (1920). The rival agents intend to run, but come back after seeing Helen Gibson alone in "Ghost of the Canyon" (1920). 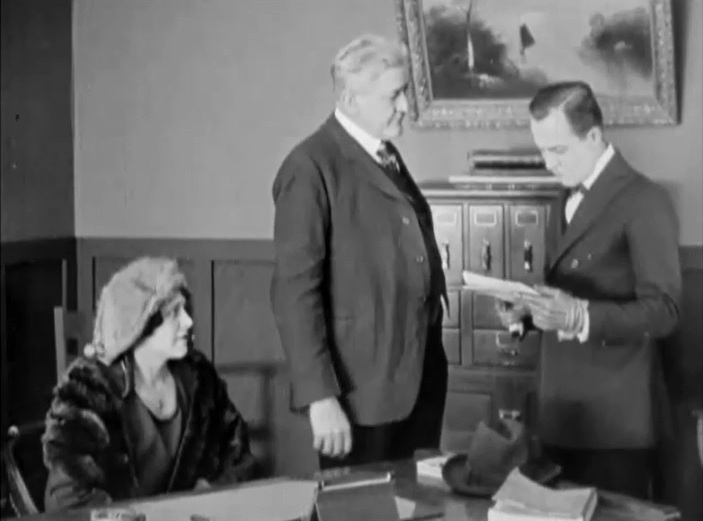 The rival agents overpower Helen Gibson in "Ghost of the Canyon" (1920). 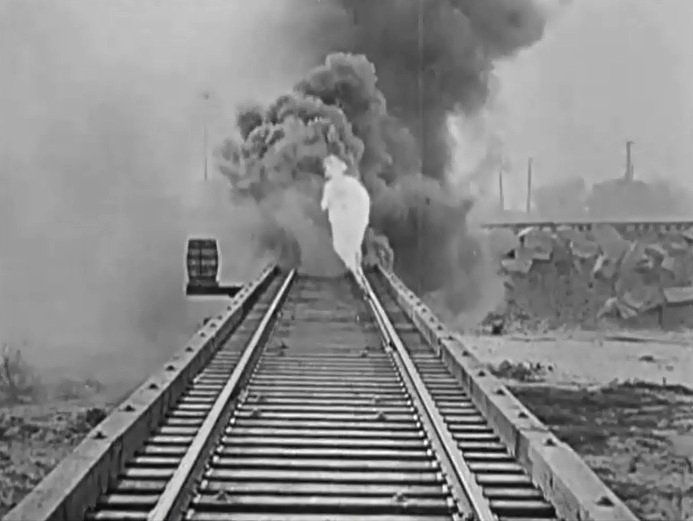 The rival agents tie Helen Gibson to the tracks in "Ghost of the Canyon" (1920). 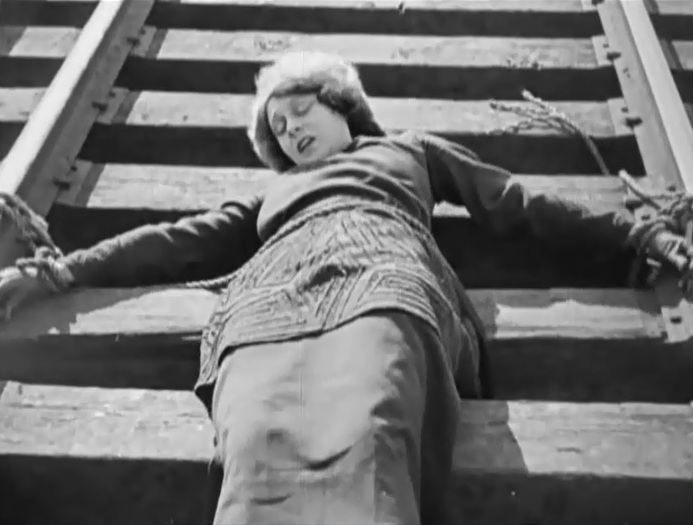 The rival agents leave Helen Gibson tied to the tracks in "Ghost of the Canyon" (1920). Helen Gibson's boyfriend sees the ghost again, but doesn't stop in "Ghost of the Canyon" (1920). Helen Gibson is fighting for her life in "Ghost of the Canyon" (1920). 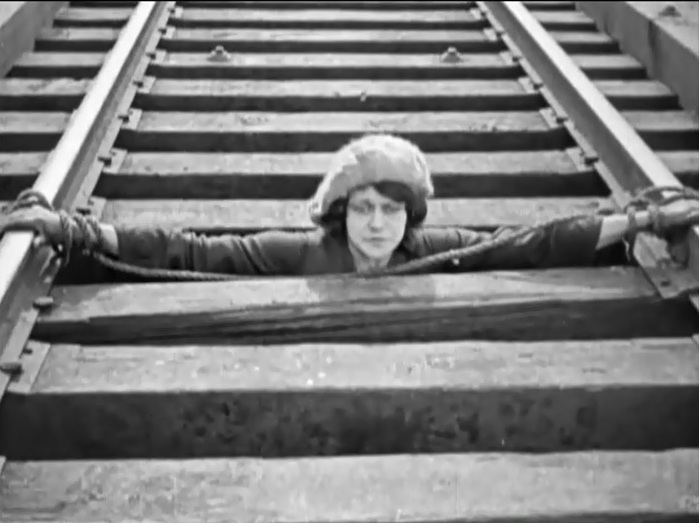 Helen Gibson manages to get under the tracks in "Ghost of the Canyon" (1920). Helen Gibson's ropes are cut by the friendly train and she goes free in "Ghost of the Canyon" (1920). Helen Gibson finds evidence of the rival agents' malicious activities in "Ghost of the Canyon" (1920). The rival agents are detained as Helen Gibson gives them some pep talk in "Ghost of the Canyon" (1920). Helen Gibson's father explains what devices were used by the rival agents in "Ghost of the Canyon" (1920). Helen Gibson's father shows the device that created the ghost in "Ghost of the Canyon" (1920). Helen Gibson joins her boyfriend for the rest of the trial run in "Ghost of the Canyon" (1920).